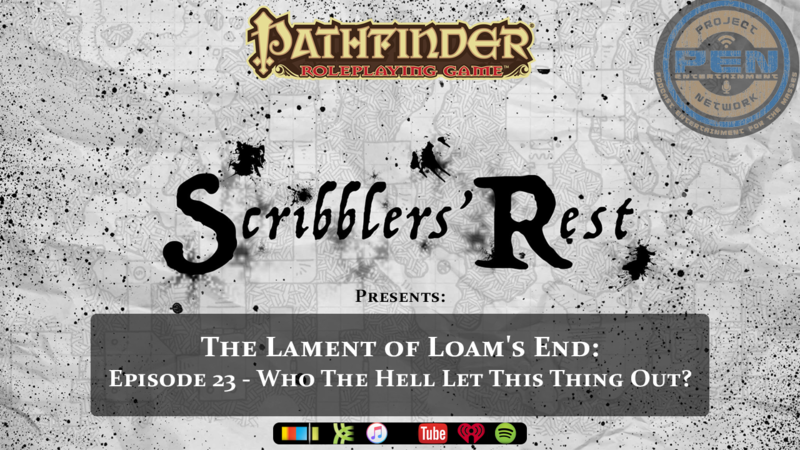 Scribblers' Rest: Scribblers' Rest: Episode 23 - Pathfinder - The Lament of Loam's End - Who The Hell Let This Thing Out? It bleeds sawdust and it's got the player-characters gulping healing potions. But to whom does this abomination belong? Father Love swings his stick as the adventurers mount ever higher, encountering new threats, and new puzzles.